I of course want Mur-Man to dress well and wanted to add a little style to his wardrobe. 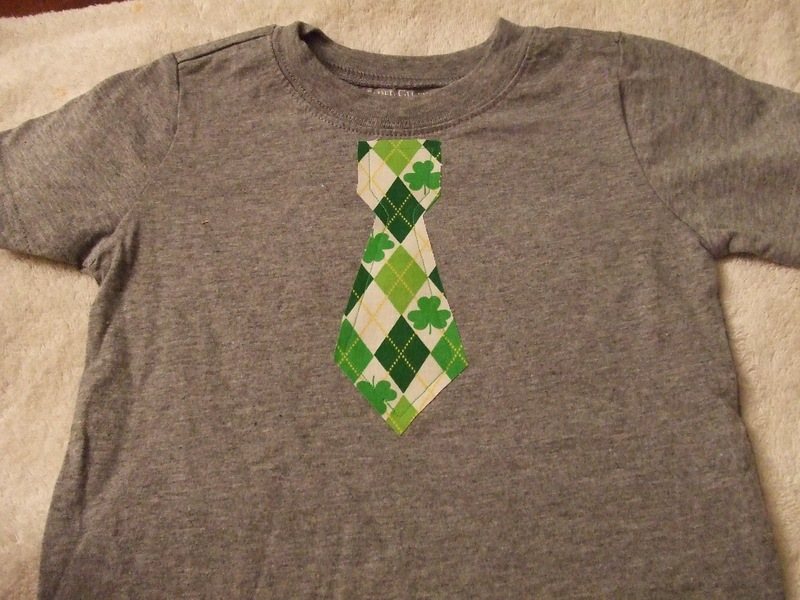 Why not add a tie to a plain t-shirt or onesie (better yet, add a green tie for the holiday). This craft is easy, a quick fix, and affordable (because many items are already in your craft stash). 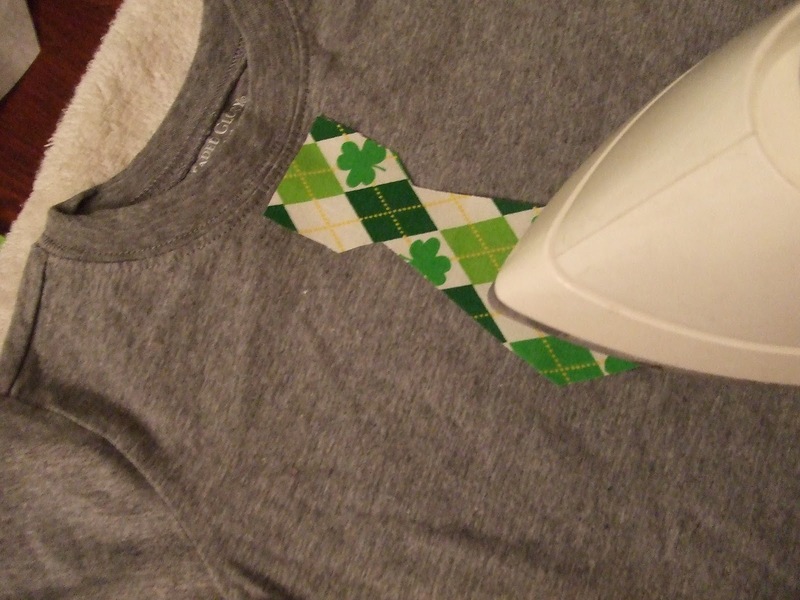 Using the tie pattern, trace and cut your wonder-under. Iron the wonder-under onto the wrong side of your fabric (rough side down). 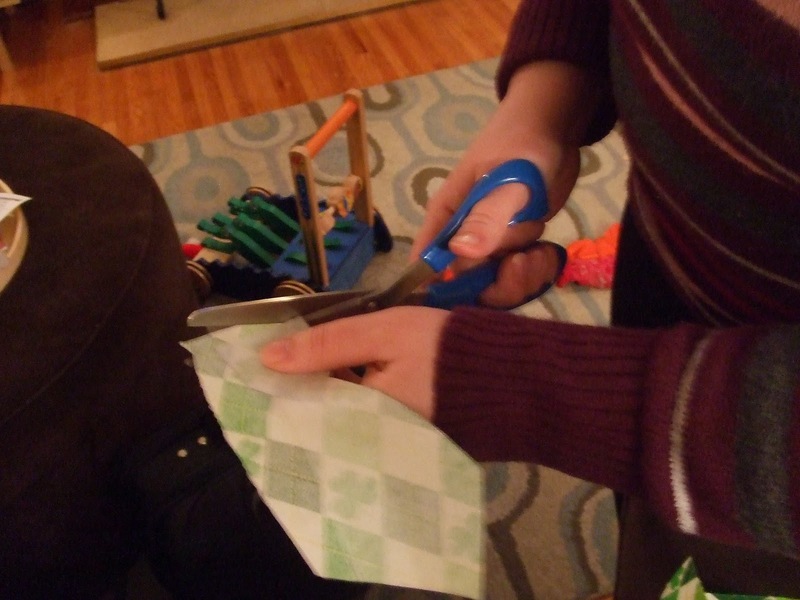 To conserve your craft supplies--cut the wonder-under to fit the pattern. 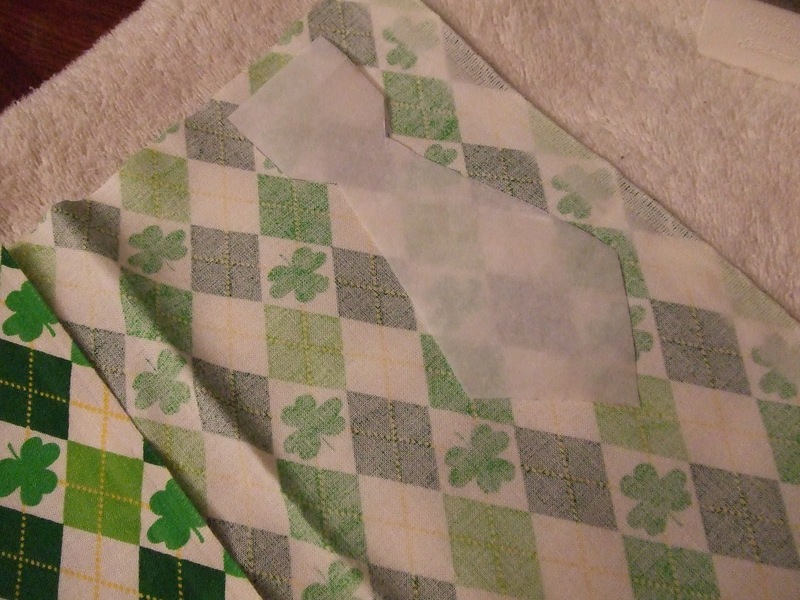 Trim the fabric along the edges of the wonder-under leaving no access. Once cut out--you can iron it onto the shirt. Remove the top layer off the wonder-under (you should feel a remaining film on the fabric) and iron the tie onto the shirt or onesie. I like to iron a crease into the center of the shirt to help determine placement of the tie. Sew around the edge of the tie (you can sew leaving a seam…this will make a more frayed look or zigzag the seam). My Mur-Man won't get pinched! My Mur-Man is looking more and more like his Dad and I love that this look allows him to be a PROUD IRISHMAN! Consider making it yourself. Simple, affordable, and I think ADORABLE! CRAFT TIP: Make lots of different tie shirts. The possibilities are endless. (Be on the lookout for future posts on other decorative kid shirt ideas). Lori-Where do you get the Wonder-Under? I SO want to do this for Cooper tonight and it would be a fantastic idea to make a few for my photography! Hi Kristin: You can actually purchase wonder-under at most fabric stores. I am not sure if walmart carries it, but I do know that the fabric store in the buffalo mall carries it. So does joanne's. Another name for wonder under is fusible interfacing. If you can't find any...let me know and I can loan you a few scraps! Sorry about the formatting of the comments on the blog. We are working on it.